H 3041-3965mm. x W 1100 mm. x L 2780 mm. 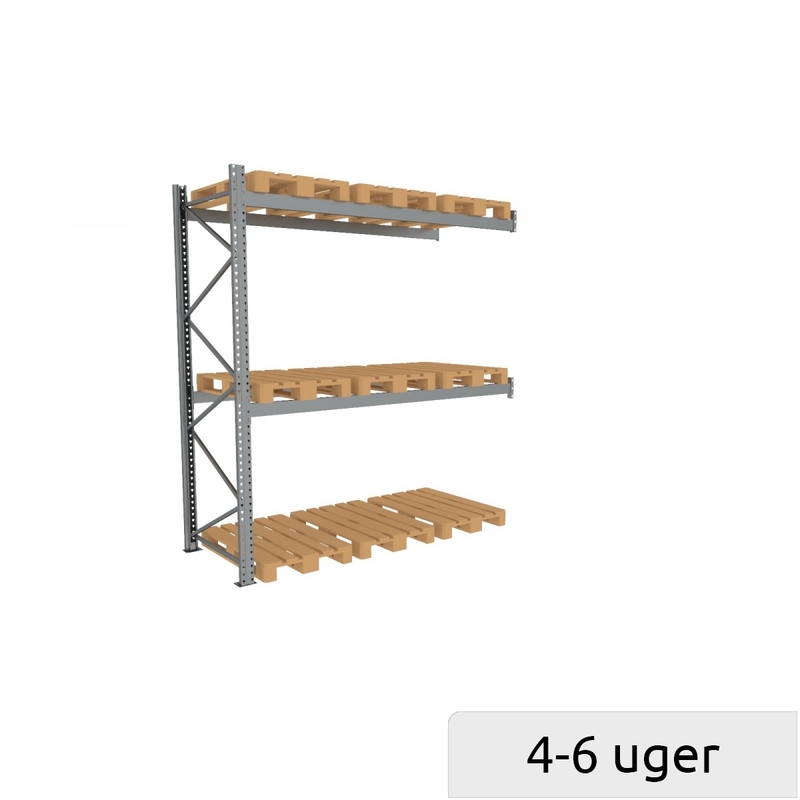 Suitable for warehouse and production facilities, garages, car service stations, archives and libraries, etc. 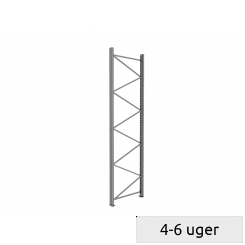 Can be used to expand already assembled sets or to build a brand new set up from the bottom. 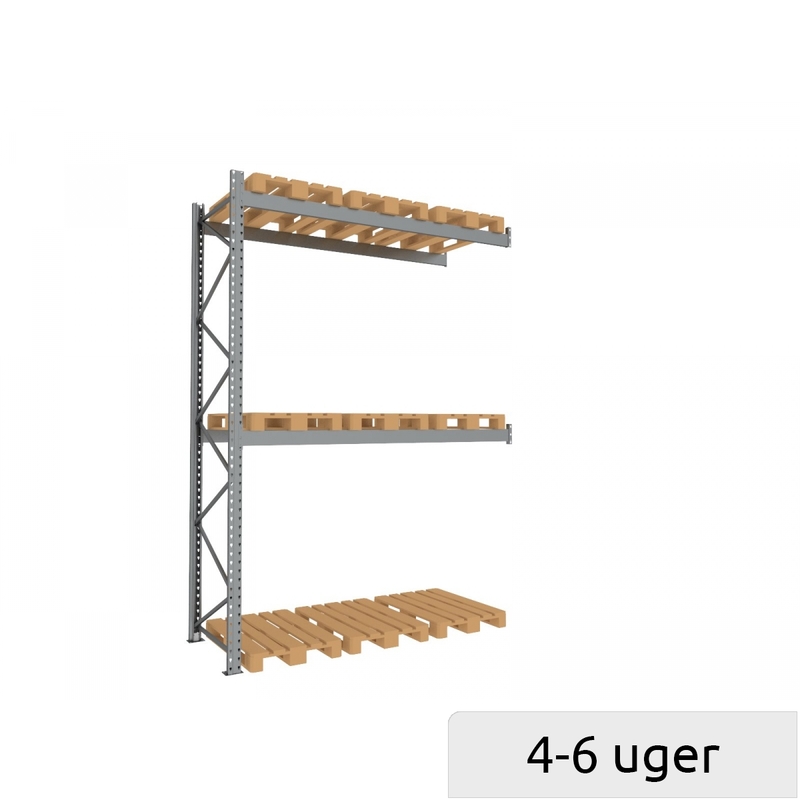 Pallet rack set for storaging of piece-goods or EUR-pallets. Maximum load is 1850 kg per level (or ca. 600 kg. per palllet). 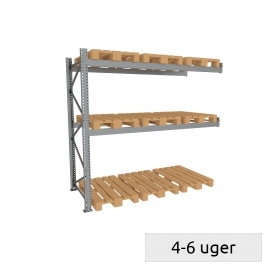 Maximum load can increase to up to 3000 kg per section (or ca. 1000 kg. 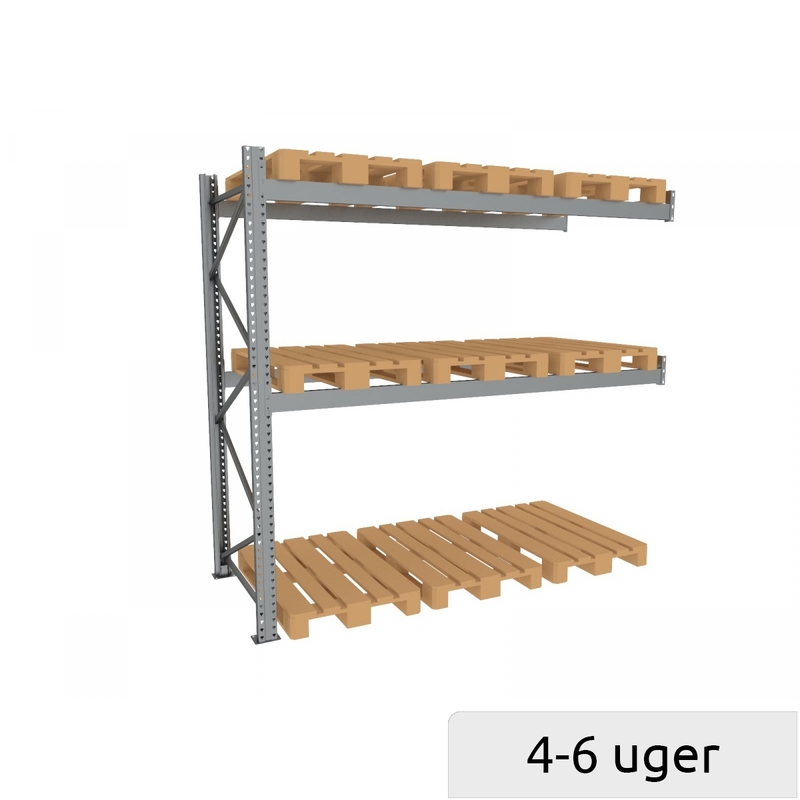 per pallet) with a 120 mm. high beam. Thе load should be spread evenly along the pair of beams. 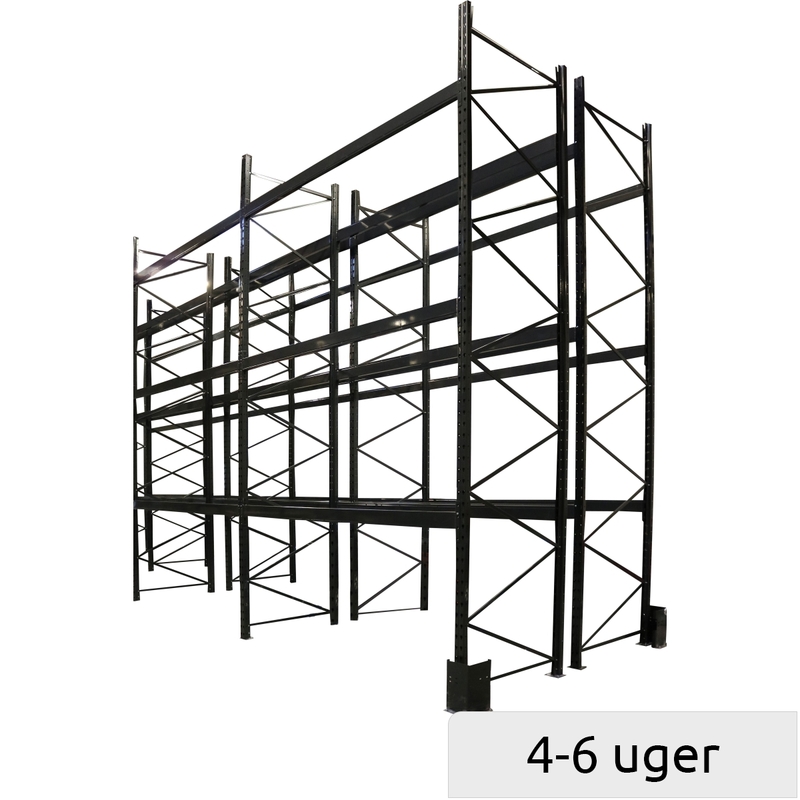 One set consists of 1 frame, 4 beams and 16 safety split Ø6.